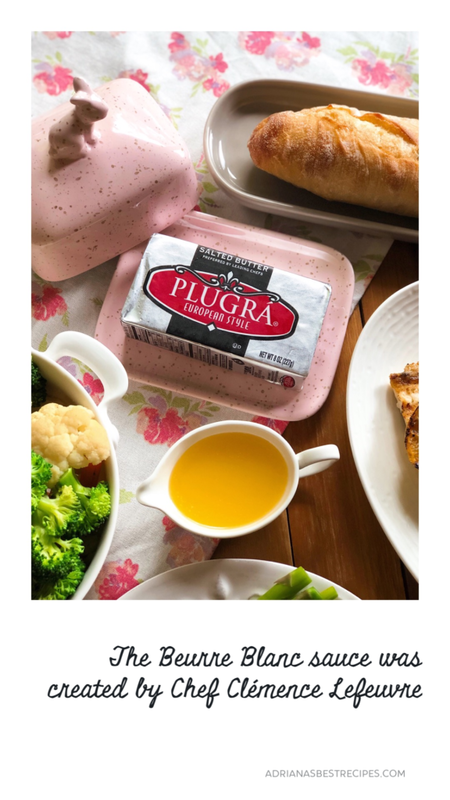 This recipe for the French style butter is a sponsored conversation written by me on behalf of Plugrá® Butter. The opinions and text are all mine. 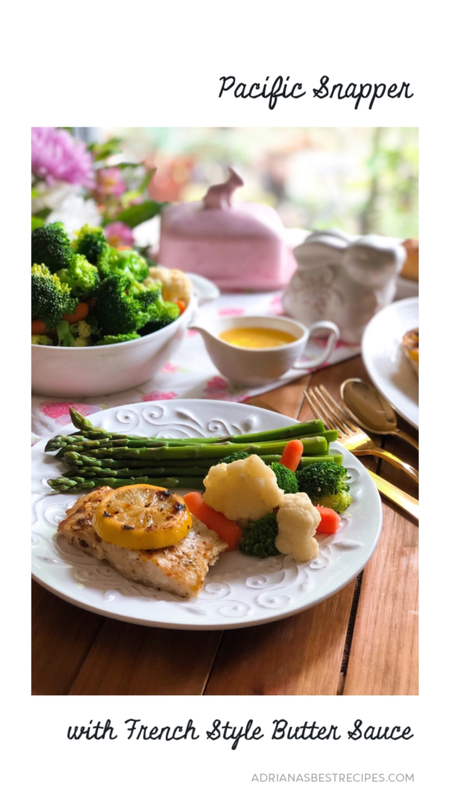 The French style butter sauce or “beurre blanc” is an incredibly delicious sauce used to pairing with fish, seafood and vegetables. 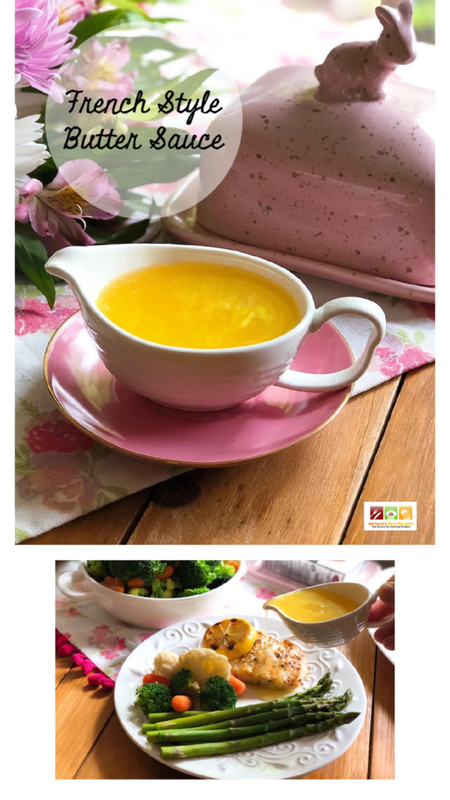 At home, we have always been fans of European cuisine, and this butter sauce could not be missing from our repertoire of classic recipes. 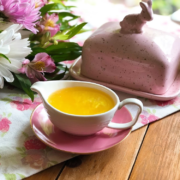 This recipe for the French style butter sauce is simple to prepare, but it has a special ingredient that makes it even more delicious. 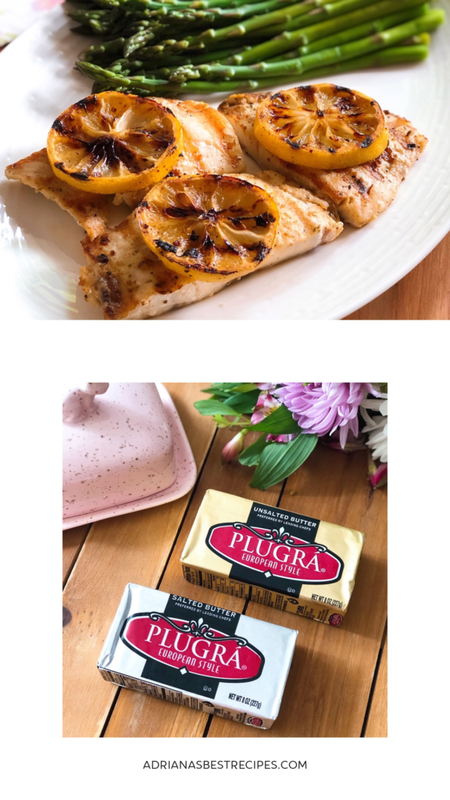 In this recipe, our secret is Plugrá® butter, the European style butter, that you can find at your local Publix! Plugrá butter is made with fresh milk from dairy farms located in the United States (other brands use imported milk). Also, this butter has no artificial ingredients and no added growth hormones. 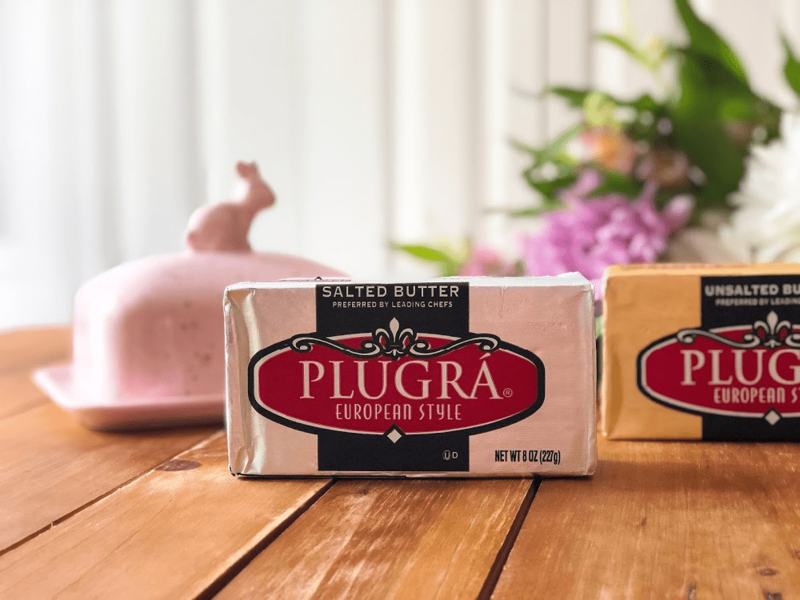 The process that Plugrá Butter uses in its preparation is a slow churn so that the product has less moisture, resulting in a tasty butter with a creamy texture. Plugrá is the official butter of the French Pastry School and the New York James Beard House. After having prepared this butter sauce inspired by the classic recipe for beurre blanc, I understood why Plugrá butter was created by chefs. 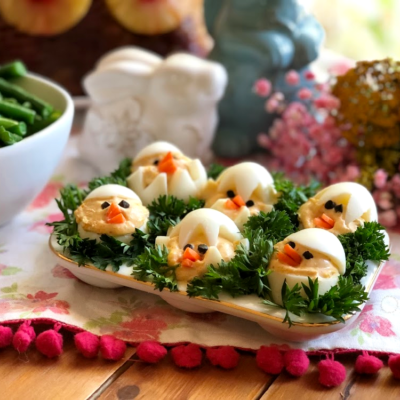 Only they understand the importance of using quality ingredients to achieve success in the preparation of creamy sauces such as the beurre blanc. Plugrá butter is available in salted and unsalted for use in both sweet and salty applications. 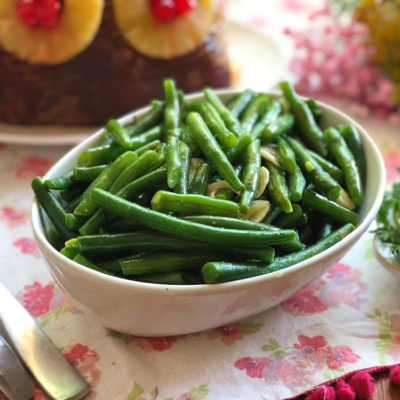 The salted version is an excellent butter for sauces, whereas the unsalted would be used to prepare dough for pies and empanadas to achieve a flaky texture, as well as for baking cookies and other desserts that will be a delight for the whole family. Beurre blanc means “white butter” in French. And it is a hot emulsified butter sauce made with a reduction of vinegar and white wine (usually a Muscadet) and grey shallots. This sauce originated in Loire Valley cuisine and created by Chef Clémence Lefeuvre in the 20th century. She served this sauce for the first time at her restaurant “La Buvette de la Marine” located in the village of Saint-Julien-de-Concelles near Nantes. Some think Chef Lefeuvre created the buerre blanc as an accident while she was making a béarnaise sauce, but forgot to add the tarragon and egg. Beurre blanc means “white butter” in French. It is a hot emulsified butter sauce made with a reduction of vinegar and white wine (usually a Muscadet) and grey shallots. This sauce originated in Loire Valley cuisine and was created by Chef Clémence Lefeuvre in the 20th century. She served this sauce for the first time at her restaurant La Buvette de la Marine located in the village of Saint-Julien-de-Concelles near Nantes. Some think Chef Lefeuvre created the buerre blanc as an accident while she was making a béarnaise sauce but forgot to add the tarragon and egg yolks. 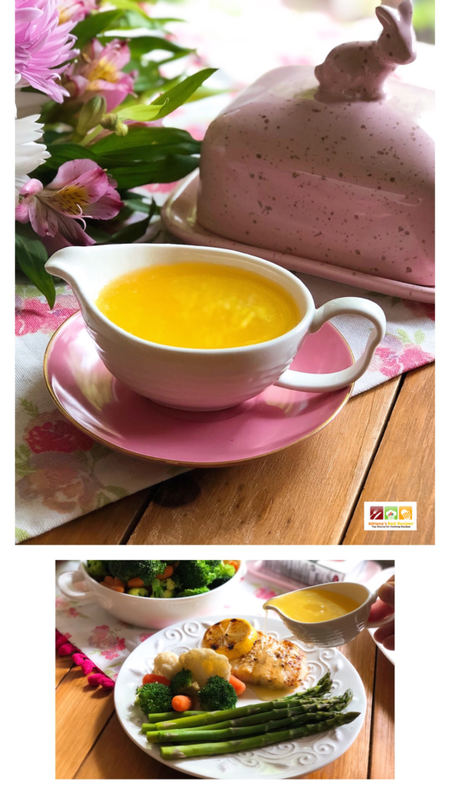 If you haven’t tried this butter sauce now is the time to make it. Just follow the steps for best results. A good beurre blanc is rich and buttery, with a neutral flavor pairing well with other seasonings and flavorings. You can add herbs and spices to change the flavor profile. The sauce should be light and airy yet still liquid and thick enough to cling to food. The sauce can separate by either overheating or cooling. If it heats past 136°F, some of the emulsifying proteins begin to break down and release the butterfat they hold in the emulsion. If the sauce cools below 80°F, the butterfat will solidify. 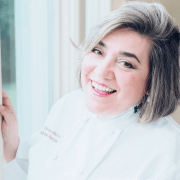 That is why using a thermometer, or a double boiler is part of the success. 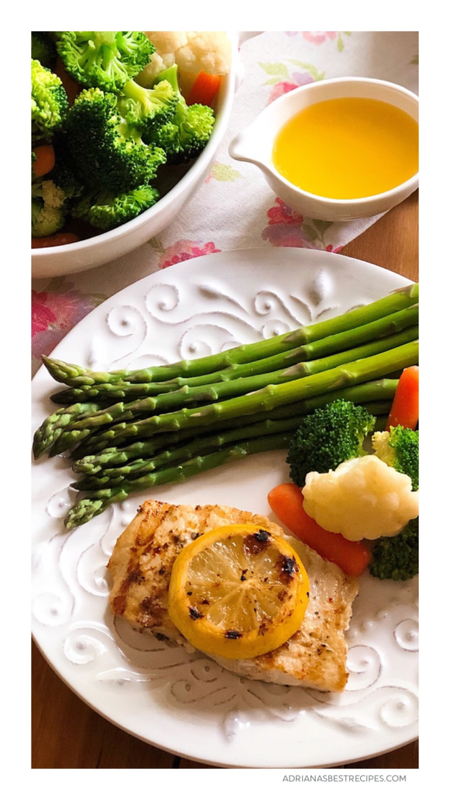 An exquisite French style butter sauce adds the special touch to a fillet of rockfish, also known as Pacific snapper, which we have cooked on the grill and served with a side of steamed asparagus and mixed vegetables. This Pacific Snapper with French Style Butter Sauce is perfect for Easter Sunday. 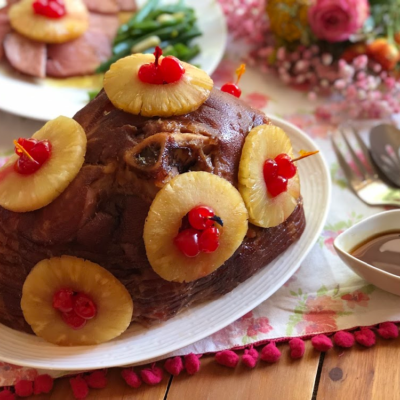 It is a complete and worthy meal to serve on such a special occasion. 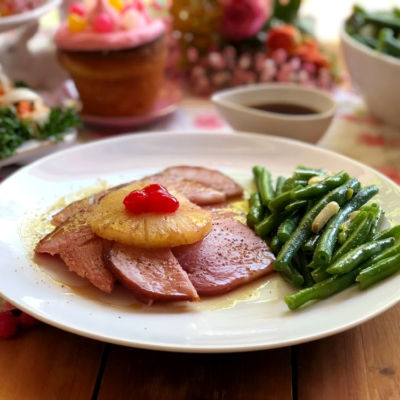 Get inspired to cook classic seasonal dishes using premium ingredients that will help elevate them to the next level in quality and flavor. Not only in a restaurant can we enjoy a meal with supreme quality. At home, we can achieve that same experience using the ingredients that professional chefs use to prepare gourmet meals. 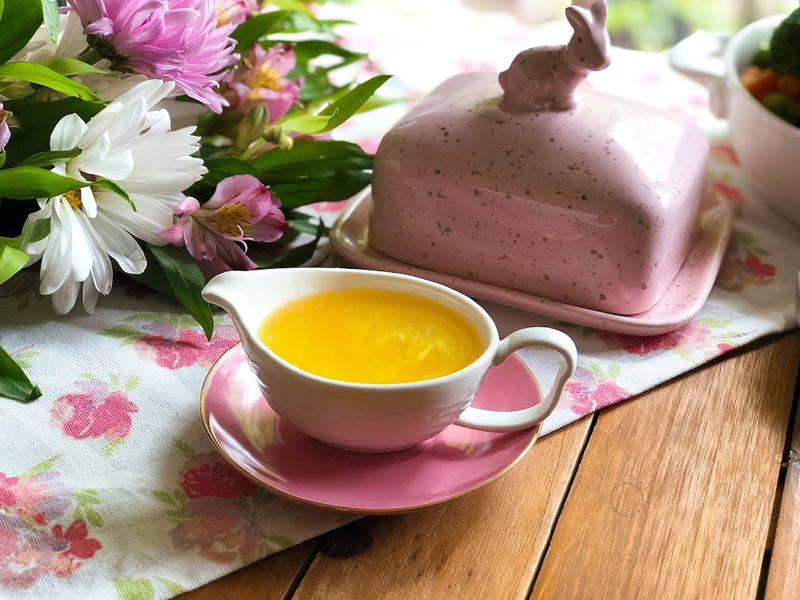 Are you ready to use Plugrá Butter and prepare this delicious French style butter sauce at home? 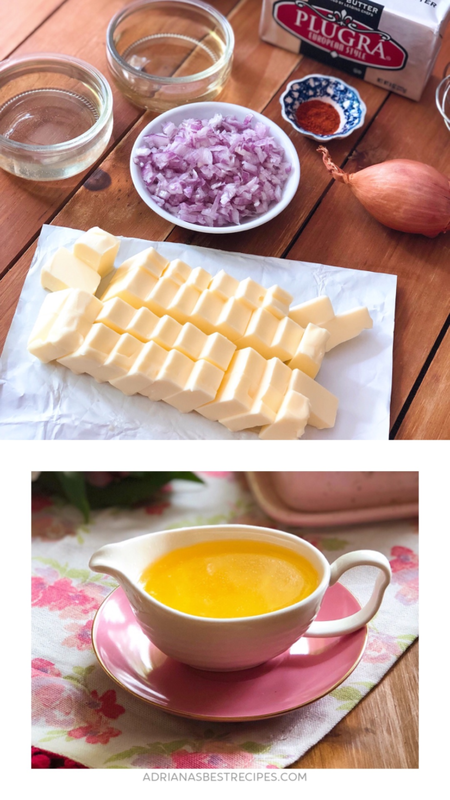 The French style butter sauce or “beurre blanc” is an incredibly delicious sauce used to pairing with fish, seafood and vegetables. This sauce has shallots, white wine, white wine vinegar, and Salted Plugrá® Butter. Cut the butter into squares. Then finely chop the shallots and set aside. In a heavy-bottomed saucepan add a small square of butter and sauté the shallots until they become translucent. Add the wine and the vinegar and reduce until there is a spoonful of liquid. Turn off the stove and add butter squares three at a time and on intervals. Stir and let the butter melt. Do not add all the butter at once. Repeat the process and when the butter is all melted begin to hand beat at a higher speed. Turn on the stove again and using a thermometer, make sure the temperature does not rise above 120° F or 50° C. Another option is to use a double boiler or water bath instead of a direct flame to control the temperature more accurately. Continue whipping until you get a thick sauce with a pale-yellow color. Strain the sauce to remove the shallots. And finally, add cayenne pepper to give more flavor. Use this French style butter sauce to drizzle on fish, seafood, and vegetables. Good food takes time so be patient as it is essential to achieve the right consistency in the sauce and whipping uniformly. You can use a double boiler to maintain the correct temperature and avoid direct flame when whipping the sauce. 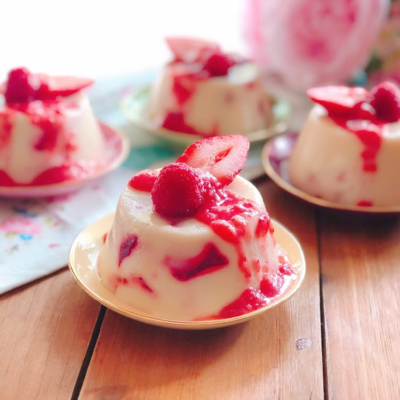 It is allowed to use a hand mixer or a metal whisk. The white wine should be dry, or you can use a good quality dry vermouth instead. Cayenne pepper is optional but can be replaced with paprika if desired. The butter sauce should be made the same day and used within the next two hours. Take a bowl and put a little bit of cold water in the bottom. While constantly whisking, slowly pour the broken sauce into the bowl with the water. Use immediately or return to heat gently if needed. A classic that I always enjoy on my fish and vegetables when I am fine-dining! Love that I now have the recipe! thanks! This looks super delicious! I’m dreaming of all the things to drizzle this on. Yum! Thank you so much for the tips! I really loved it! You can’t beat a good butter sauce and this one looks amazing! I love a good European butter and I need to try this one along with the recipe asap! You always need a good sauce for any dish and this butter sauce sounds amazing! Oh my goodness I can imagine pouring this over literally everything! Definitely going to have to try this!! I’ve never seen Plugrá in the store before, but I’m curious to try it. Can you get it anywhere else that at Publlix? You can check on their site where to buy aside from Publix. I have seen it at Whole Foods, Fresh Market, Meijer, Winn-Dixie, and Target too. But availability varies based on where you are located.